We support business owners with simple and convenient alternatives to traditional financing. Our alternative financing solutions provide access to working capital without limiting you business' ability to grow. Traditional sources of capital are not ideal options for all businesses. We offer flexible, easy-to-implement solutions that provide immediate working capital to your business. Our Flexible Small Business Loan Program is perfect for businesses that are looking for something more than a traditional loan product. Traditional loans can require an abundance of paperwork, multiple pieces of collateral and weeks for a decision. We get you the capital you need with minimal paperwork, no fixed asset collateral and funding within 7 days. Higher approval rates than bank loans. Easy, streamlined application process with minimal paperwork. Fixed automated repayment allowing for simplified structure and cash flow management. We do not restrict usage of funds. 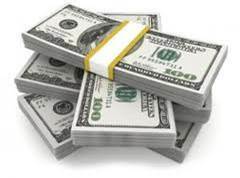 Our cash advance program converts your future Visa, MasterCard, Discover, and AMEX receivables into immediate capital. Repayments are based on a fixed percentage of your future credit card receivables. Payments are automatically applied to your remaining balance until the balance is satisfied. Repayments are linked to your credit card receivables, so we don't get paid until you make a sale, thus helping you manage the cash flow of your business, especially during slower months. No personal guarantees for repayment. No need to switch credit card processors. Fluctuating repayments that align with active sales. Our Line of Credit Program allows you to get approved for a larger amount but only incur cost on the funds you have drawn. This allows you to access the funds you need, gives you the flexibility to draw on them when you need them and only incur cost on the funds you use. This product is ideal for the business owner who is going to have multiple needs at various times over the coming months and is not going to utilize the full approved amount immediately. Ability to control distributions of capital. No unnecessary incurred costs for non-utilized funds. Access same day draws during the term of your line. We do not restrict the use of funds. Our SBA Bridge Loan Program assists in resolving obstacles that come up during the SBA approval process. As well as offer financing for day to day management of your business during the SBA process. A business owner can utilize our program to access capital to resolve outstanding issues and receive a reduced payoff when the SBA loan is closed. Removes obstacles from receiving an SBA Loan. Reduced payoff when your SBA closes within set time frames. Replenishes depleted cash reserves from SBA down payments. Over $500 million dollars provided to tens of thousands of small businesses nationwide. More than 85% of eligible customers renew their financing with us after recognizing the benefits we offer their business. Contact us today and join the tens of thousands of businesses that have benefited from our business finance solutions.